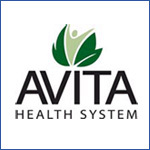 Avita Health System was formed in late 2010 as the parent company for two full-service hospitals in Crawford County Ohio. Galion Community Hospital has 25 acute care beds and 10 in-patient rehabilitation beds, while neighboring Bucyrus Community Hospital provides 25 beds and inpatient, outpatient and emergency care services. Together, the Avita hospitals employ nearly 700 medical professionals and staff, making it the largest employer in the county. When the hospitals first came together under one corporate umbrella, Avita administrators faced three pressing challenges right away. First, they wanted to consolidate the two human resource departments to reduce costs and improve productivity. Next, they needed to upgrade an inefficient and costly contracts management system. Finally, the administrators wanted to facilitate better communications between Avita's expanded board of directors by implementing electronic meeting boards. Until the merger, the hospitals had been utilizing subscription-based Microsoft® Exchange and Communicator for email, calendaring and instant messaging. But those solutions fell far short in delivering the kind of collaboration, standardization and overall cost savings that administrators sought in the wake of the merger. When Tim Snyder came onboard as the new Information Services Director in January 2011, he immediately recognized what was missing from the mix. "We needed to move to the cloud," he recalls, "to centralize and standardize workflows and internal communications." To get there, Snyder recommended Microsoft® Business Productivity Online Suite (BPOS) with Microsoft SharePoint® Online, which featured everything they needed, from email to intranet messaging, document sharing, electronic boards and Live Meeting for Web conferencing. Says Snyder, "In one fell swoop, BPOS with SharePoint would solve all three major challenges. So the question became, do we move the entire solution to the cloud, or should we host part of it onsite with new servers and take on those costs? It boiled down what made the most sense for us financially." Affiliated, a leading Ohio technology and professional services company and Microsoft Partner, was hired to assess the situation and conduct a costbenefit analysis on the cloud versus onsite options. Affiliated had worked extensively with other health care providers in Ohio, so "they weren't just another technology company; they were a knowledgeable adviser who understood our unique needs and concerns," Snyder says. The Affiliated team recommended adding BPOS with SharePoint Online as a pure cloud service, and then eventually migrating the entire suite to the cloud-based Microsoft Office 365. Affiliated believed moving to the cloud, as opposed to incurring the cost new servers and ala carte subscription fees for individual applications, would save the company tens of thousands of dollars in capital costs, annual fees and administrative costs. In June 2011, the Affiliated team developed a custom SharePoint Online solution on the cloud, all done online and in collaboration with Snyder's IS department. They built an electronic meeting board — eliminating the cost of printing materials and distribution — so that all 22 Avita directors could easily review monthly meeting agendas, from anywhere. "SharePoint now allows them to prepare for meetings in advance, stay updated and even share documents," Snyder says. Expiring contracts that renewed automatically were costing the company as well. "We weren't doing a good job of keeping track of contracts that we no longer needed," Snyder says. In the past, contract documents were kept in multiple locations, making them difficult to find and track. With SharePoint Online, all contracts were moved to a centralized workflow in the cloud, where they could be read, edited, shared and organized per expiration dates by authorized personnel. The cost savings? "Thousands of dollars a year," Snyder says. SharePoint Online also allowed Avita to consolidate and standardize policies, human resource training manuals and general information from the two hospitals — basically, all non-patient-related information — by bundling it all on one site. Snyder expects this migration to the cloud will lower administration costs by as much as one-third. It'll also free up IT personnel for other tasks, helping his team be more productive where they're needed most. Since 1993, Affiliated has been helping growing and midmarket organizations identify, evaluate and implement technological solutions to improve operational efficiency and increase revenue. As a member of the Microsoft Partner Network certified in both Microsoft Platform and Microsoft Dynamics CRM solutions, as well as a VMWare Enterprise Solution Partner, Affiliated specializes in providing complete technology solutions including both software and services to organizations in multiple industries including distribution, manufacturing, healthcare, professional services, government, and not-for-profits. "Moving to the Microsoft cloud with SharePoint Online helped us realize tremendous savings, not just in lowering administrative costs - but also in driving productivity by consolidating information and making it easily accessible to staff in two hospitals"
A leading non-profit health care provider in north-central Ohio wanted to streamline communication among 22 board members, reduce contract expirations costs, and consolidate its human resources operations. Affiliated conducted an extensive IT and business analysis and recommended Microsoft® Business Productivity Online Suite with SharePoint® Online, followed by migrating the entire system to the cloudbased Microsoft Office 365 solution. Affiliated also provided application customization and training for end users and administrators. The solution consolidates non-patientrelated information for two hospitals within a centralized location on the cloud, reducing administration costs by one-third; saves thousands of dollars a year in unnecessary contract renewal costs; saves printing and distribution costs with electronic meeting board; and provides and expected return on investment in under 24 months. "Affiliated was very experienced in the health care industry. Their knowledge, combined with exceptional responsiveness to our needs, proved invaluable in helping us develop the right solution for Avita going forward."